While most people seem to think that carports are just about being stables for cars, there is more to the story than that. Carports, or at least the best kind of carports, can have a variety of different uses. The most obvious is that carports are designed to put a roof over your car to protect it from the elements. By their very definition, they serve this function with their simple design. Shaped like sheds without walls, carports are easy to make room for and can make a real difference when your car isn’t at risk for sun or rain damage. If one is creative enough however, carports can have other uses. Although intended for automobiles, one could use it easily to house any other piece of larger machinery, such as a tractor or other farming vehicle. This would then protect that machine the same way a car would be shielded. readily available, such as in some apartment complexes. While playing under a pavilion-like roof, kids are shielded from the harsh sun rays and heat, especially during the summer months,when there is a greater risk for heat stroke and exhaustion. As you can see, carports can be very useful for any type of shaded protection. We provide a vast number of different carports, and the possibilities among them are virtually limitless because they are custom designed by you. You can decide the exact height and width that you’d like your carport to be and we can create it. We can even deliver and assemble the carport for you at any location, be it at the office or at home, anywhere in the nation. If you’d prefer to do it yourself, the kits they come in are easy to assemble. Our carports, just like all of our other storage sheds, are backed by a warranty that covers both the structure and the cladding of the building. This ensures that it still stand tall and look great for years to come. 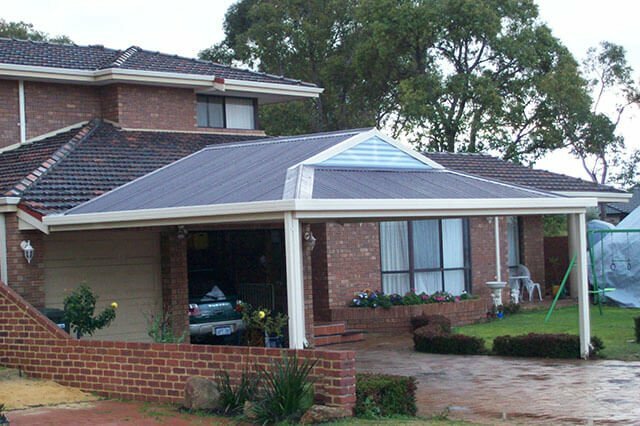 For any additional questions you have about our carport options, please call us at 1300 778 628.